Got a spare $9.5 million? If road trips, theme parks, and beach resorts just don’t do it for you, how about a stay in a swanky space hotel? 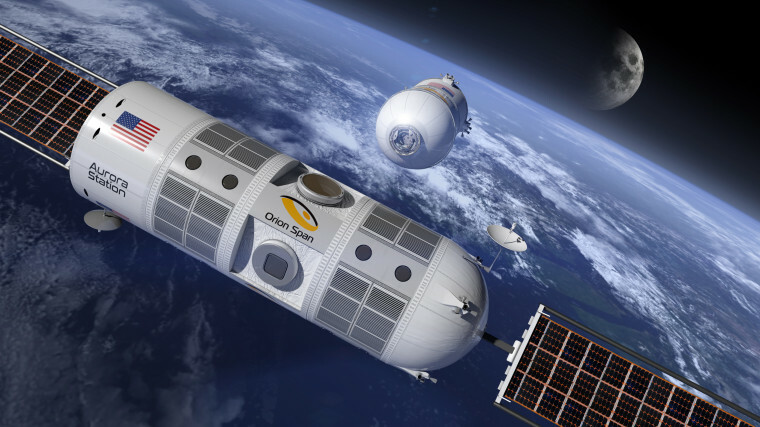 A Silicon Valley startup called Orion Span yesterday announced plans to open a luxury hotel in low-Earth orbit by 2022, and you can reserve a room for $80,000. Just be aware that that figure is only a down payment for a 12-day stay, which runs a stratospheric $9.5 million per person. But it won’t all be hard work. In addition to witnessing luminous auroras against the blackness of space and gazing down on Earth as it passes below at a distance of 200 miles, guests will be able to enjoy an onboard “holodeck” inspired by the one known to fans of “Star Trek.” And if you like sunrises and sunsets, you’re in luck: Guests will be able to see more than a dozen of each every day. Orion Span said Aurora Station will be able to accommodate four guests at a time, plus two crew members to make sure things go smoothly. The company provided scant details about how guests will get to and from the hotel, but said they are evaluating potential partners now. Construction of one Aurora Station “module” will begin in 2019, according to the company, with plans to launch it into orbit by late 2021. Additional modules could be attached later, Bunger said, adding that the overarching goal is to make spaceflight by private citizens a regular occurrence. This wouldn’t be the first time ordinary people have gone into space. Between 2001 and 2009, seven “private astronauts” rode Russian-made Soyuz rockets to the International Space Station for brief stays. One was Richard Garriott, a video game developer and entrepreneur who reportedly paid $30 million for a two-week stay aboard the ISS in 2008. He applauds ventures like Aurora Station, calling them crucial for jumpstarting the commercialization of low-Earth orbit. Of course, spending time in orbit around our planet transcends economic and political considerations.